There's one thing I make simply for the fact that I love to eat it, and it's this. I don't do it because I love to make it, because trust me, this pretty thing takes a bit of work - and that's AFTER I simplified the process. But, alas, all that hard work does pay off. 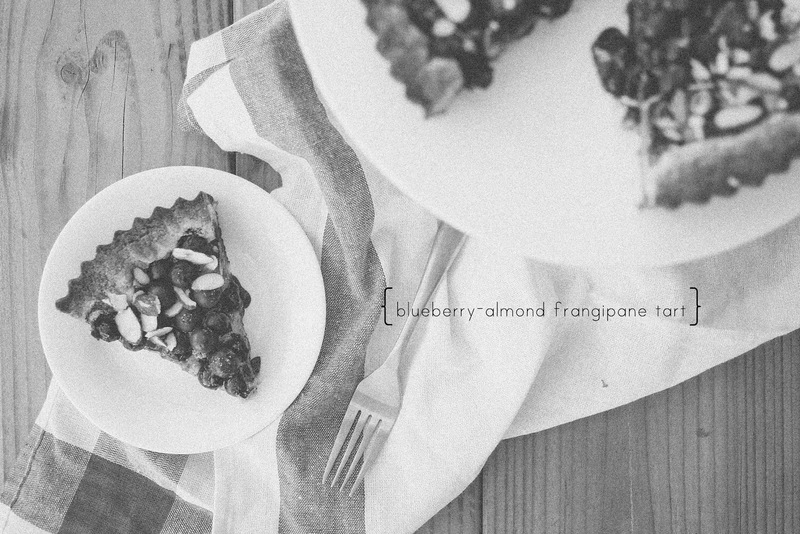 I find myself obsessed with anything that involves frangipane. It's earthy, luxurious and so delicious. 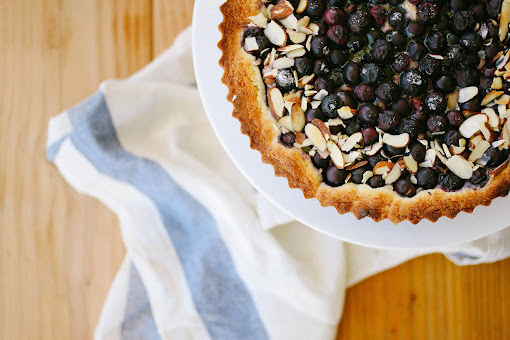 I created this variation on my favorite fruit tart, and baked blueberries into the frangipane so they released all of their delicious juices into the almond scented custard. Oh my gosh, it was, divine, simply put. With some more fresh blueberries on top, it really was perfect. First, prepare the frangipane filing. Combine the butter and sugar in a food processor and pulse until smooth. Add the ground almonds and pulse to blend. Add the cornstarch and pulse. Mix in the egg, egg yolk and almond extract. Scrape into a bowl and chill in the refrigerator for at least 2 hours before using. Before spreading into the tart crust, make sure to bring back to room temperature. Preheat the oven to 350 F. Prepare the sugar cookie mix according to the directions on the package. Divide the dough among two 9" tart pans with removable bottoms. Spread evenly along the entire surface and up the sides (don't worry if it looks thin - it will puff up during baking). Divide the frangipane among the two tarts and spread evenly on top of the sugar cookie base. 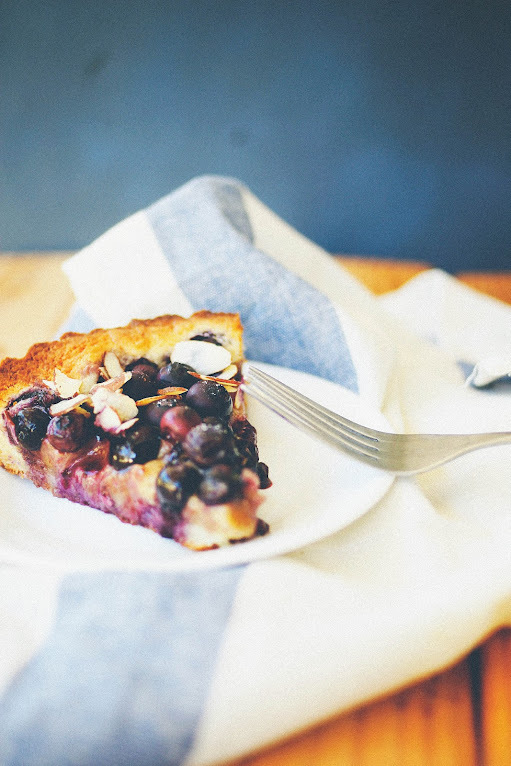 Sprinkle each tart with 1 cup of fresh blueberries each, pressing slightly so that they are semi-submerged into the frangipane. 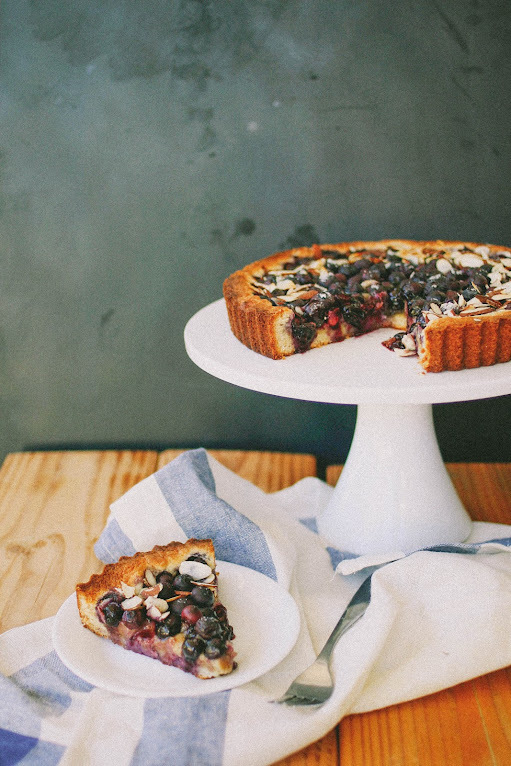 Sprinkle the edges of the tart with the slivered almonds. Bake for 15 - 20 minutes until the edges are just barely golden and puffed up, while the blueberries have released some of their juices. Set aside to cool a bit. 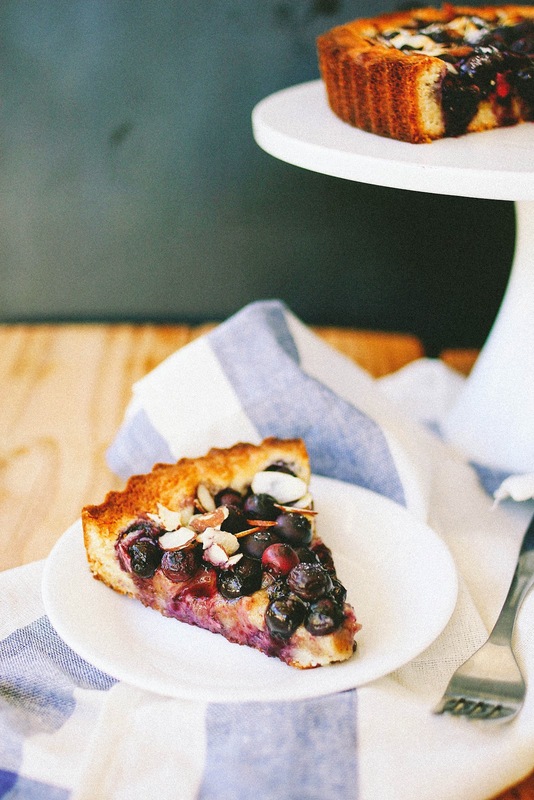 Sprinkle the remaining fresh berries on top of each tart. You can glaze the tart with some melted preserves if you wish or dress it up with some powdered sugar, but I thought it was perfectly beautiful as is. YUM! I cannot wait to try this out. Thanks for sharing the recipe! wow, you outdid yourself on the photos this time - looks gorgeous! Looks like it would be perfect for brunch!